Offering you a complete choice of services which include industrial caterpillar engine spare parts repair service and industrial detroit diesel engines service. 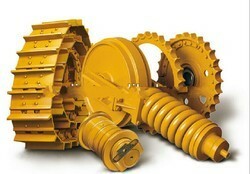 We are a prominent firm for providing Industrial Caterpillar Engine Spare Parts Repair Service. These offered services are admired in the market for their quality output and high client satisfaction. Offered array of the spare parts repair service is made using best grade inputs. Apart from this, these spare parts repairs are available at pocket-friendly prices with us. Backed by talented professionals, we are offering Industrial Detroit Diesel Engines Service to our customers. This diesel engines service is done using top grade resources. Additionally, this service is widely admired in the market for its quality assurance, and high promptness.